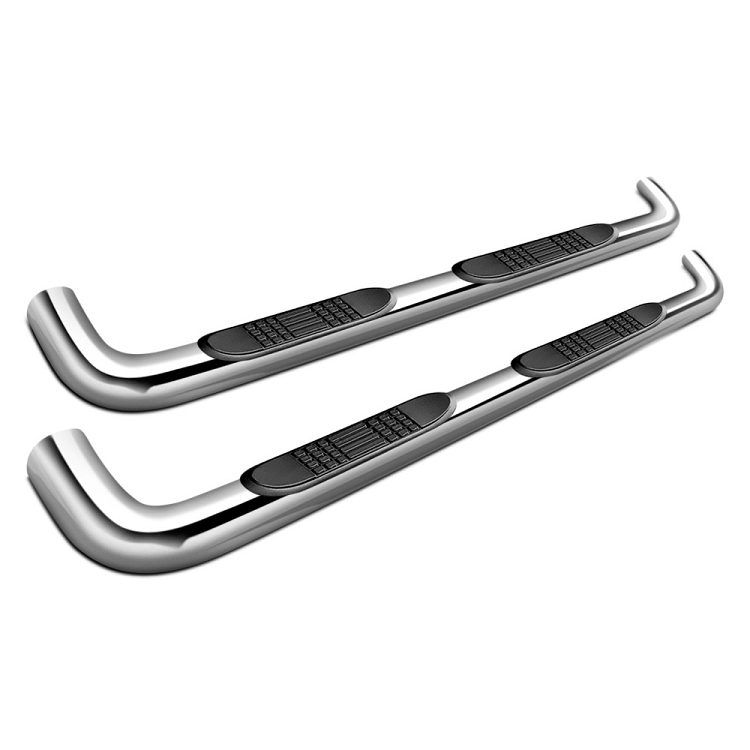 Chevy Silverado 2014, 4" Premium Oval Side Bars by SteelCraft®, 1 Pair. 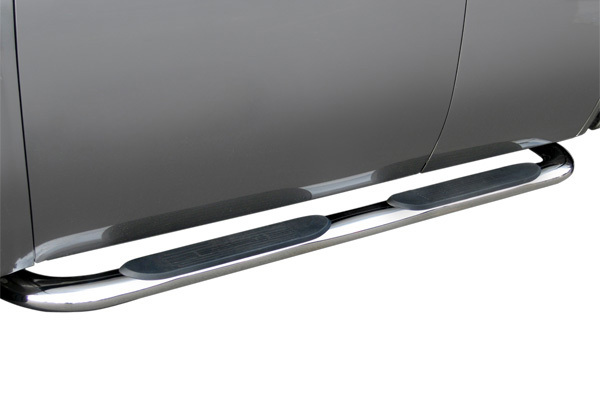 The Premium Oval Side Steps are mounted on sturdy cradle mounting brackets for true convenience and stability that match the strength of the 4" oval steel tubes. No-slip step pads provide sure footing. Original style bends and blended end caps make the steps look great. 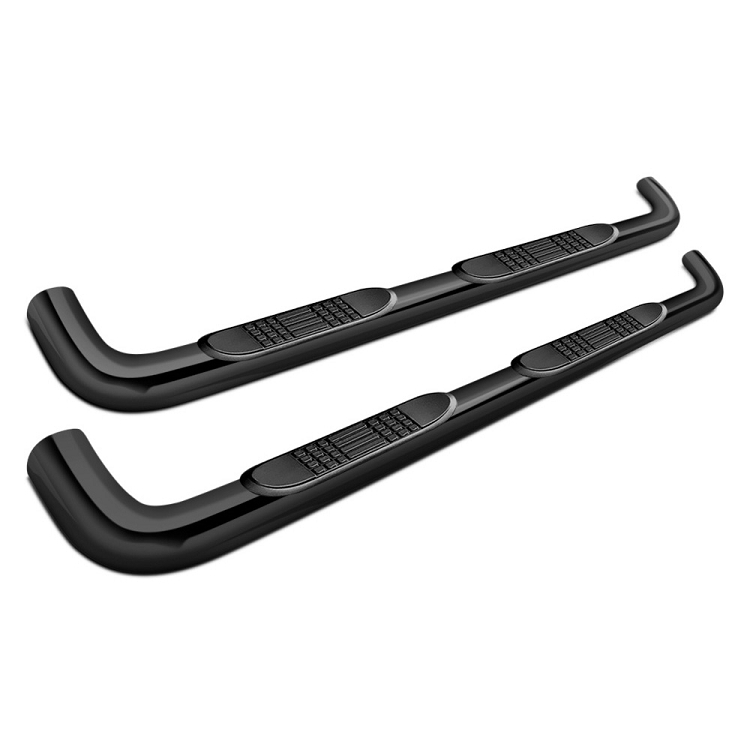 The 4" Premium Oval Side Bars not only make your big size SUV, CUV or truck more convenient to use. They also add a great look. The big diameter tubing fits the scale of big vehicles, and they are set at a height that is precisely determined to be the most convenient for exit and entry. No-slip step pads provide sure footing and a welcoming styling accent. 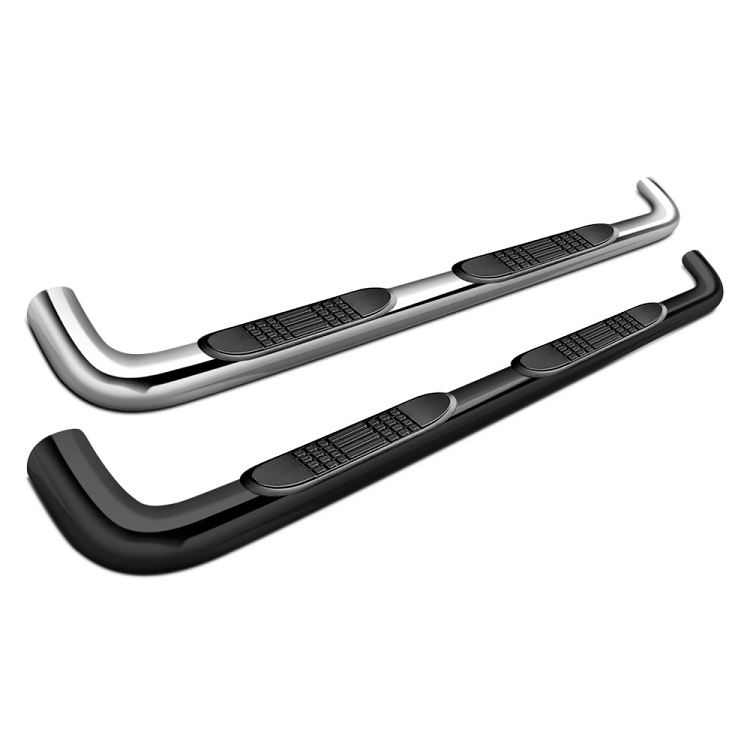 The 4" Oval Side Steps are both practical and stylish.